Raw edge fabric and free-motion stitching create a lush setting for In the Greenery. 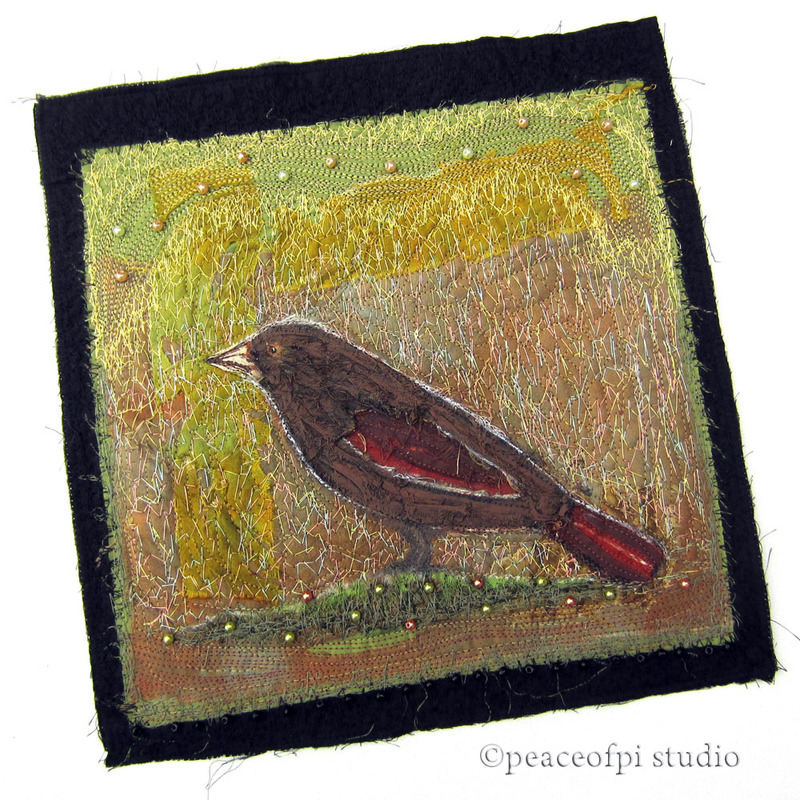 The art quilt is a collage of dyed fabrics with a brown bird of painted torn fabric strips. 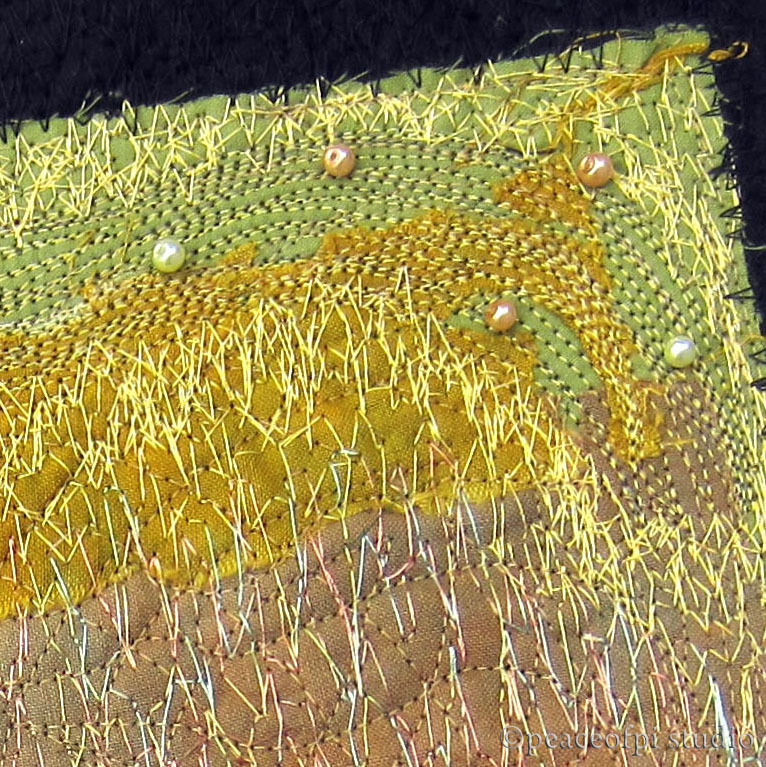 Round metallic beads in green, bronze and gold are added for a touch of glow. 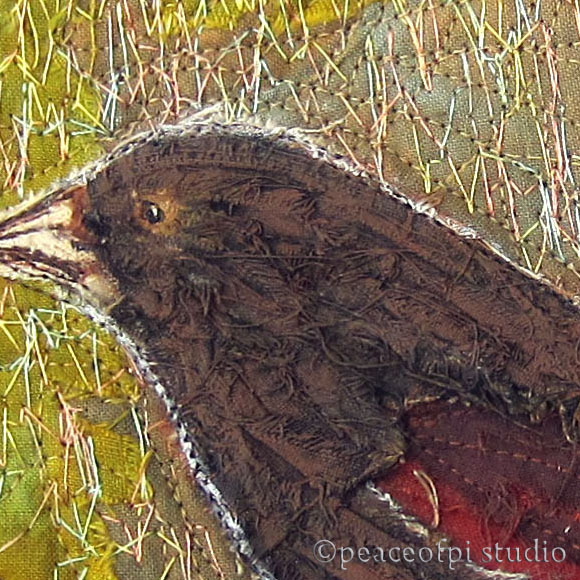 The fabric for the bird is very frayed, and because it is painted, the frayed threads have a heavy stiff quality reminiscent of feathers. 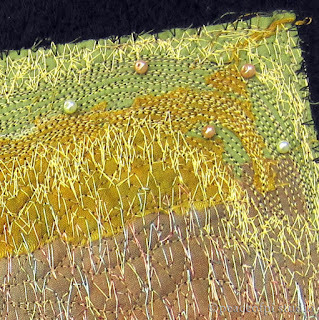 The free-motion stitching adds a rustic outdoor quality to the background and the beads catch the light, adding a touch of life to the fabric collage. It was fun to work in this muted earthy palette. From the layering of the fabric to the painting and stitching, this art quilt was another satisfying stitchy painty project.